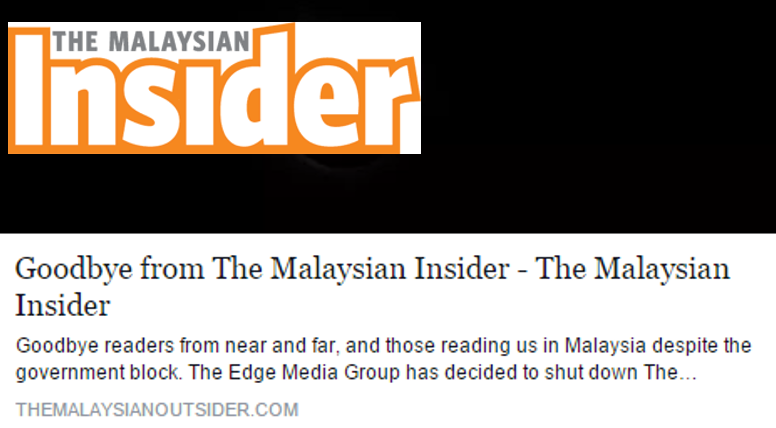 The Malaysian Insider closes down effectively midnight today. 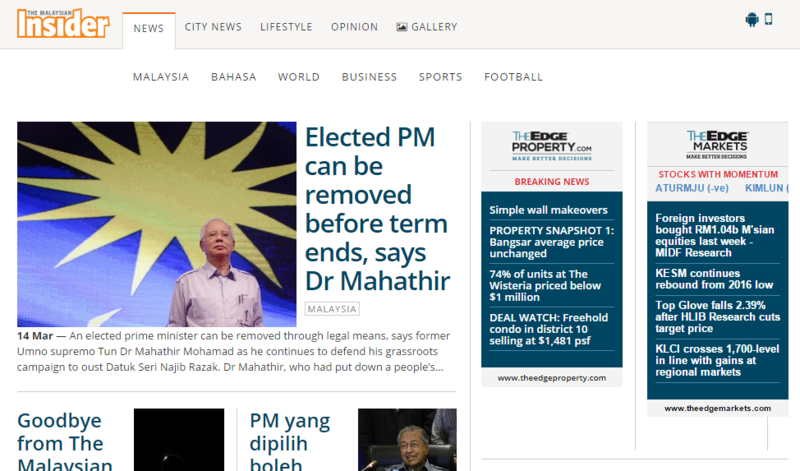 The media site has run its course from February 25, 2008 and after 8 plus years of operations, The Edge Media Group has decided to shut them down for commercial reasons. The editor wrote to thank Malaysians and readers from all round the globe for their support, well wishes and criticism during their tenure. “I won’t put down my pen, I won’t lay down my camera, I won’t shut up and I won’t be blinkered or turn a deaf ear to what goes on in Malaysia and the world. And I urge all of you to do the same,” he said.